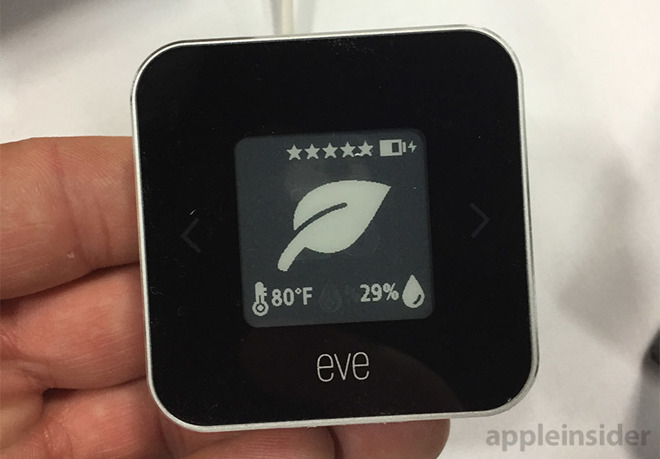 Eve Room was one of the first and most popular air quality sensors to support Apple's HomeKit platform, and the second generation model has improved significantly. The large, white plastic exterior has been replaced by a smaller brushed aluminum one. There is also a new E-ink display to glance values without having to ask Siri or dig into the Home app. 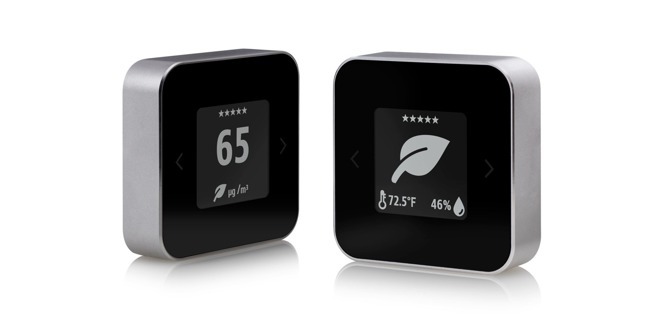 Users can track humidity, temperature, as well as air quality —the same metrics found in the first generation. A new integrated lithium-ion solution is used instead of AA in the predecessor, which will power it for up to six weeks. At that point, Eve Room 2 goes into low power mode where it only tracks temperature and humidity until the next recharge. Eve System's followup to the Eve Room HomeKit sensor is available for preorder starting on Monday, with full availability at retail starting September 12. The unit retails directly from Eve or from Amazon for $99.95. Eve Room 2 was announced earlier this year during 2018 Consumer Electronics Show alongside the Eve Button which has already been shipping. Since the CES, Eve also announced the Eve Aqua and Eve Flare. AppleInsider got a chance to review the Eve Aqua and was largely impressed though HomeKit still has a ways to go. Eve Systems, previously part of Elgato, sold off their gaming and accessory divisions to Corsair in June to focus on HomeKit and smart home accessories. Stayed tuned for AppleInsider's full review of the Eve Room 2 in the coming days.